It's Tuesday Couch Potatoes once again and this week theme is Sandra Bullock movies. I have seen quite a bit of Sandra Bullock movies, One I like was the Lake house and as expected a lot of the TCP participants love that said movie. I like the Miss Congeniality 1 and 2, While you were sleeping, Practical magic, murder by numbers, ya-ya sisterhood, hope floats, The Net, Two weeks notice and more. I am a big fan of Sandra Bullock in general. 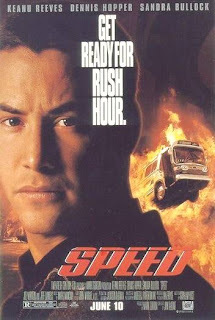 Now here is my entry the "Speed" starring Keanu Reeves and Sandra Bullock. I have seen the first Speed many times and I like it better than the second one. Annie Porter (Bullock) takes a pleasure cruise with her boyfriend (Patric) when the boat is hijacked by a computer genius (Dafoe). The crew and passengers are taken hostage, as the ship and its controls are completely under the control of the computer mastermind. The boat must be evacuated to save most of the passengers, but Bullock and Patric do everything in their power to try stop Dafoe. I like most of her movies too....am not sure kung nakakita nako ani nga movie tsang...hehehhe! woi agi ko kadali...pindot pod ko kay nag break lang ko...kapoy man tuon woi...heheehe! it's seldom that you get to see sandra in a serious action film. she is a very good actress jud kay she can play her role well. but i love her romantic comedies and action comedies better. hehehe! thanks for joining this week sis! till next TCP! hugs! 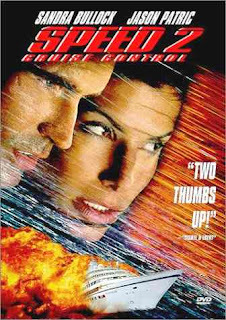 hay..type kaayo nako ni nga movie ni Sandra..well..daghan man sya nice movie...kadtong pod "The Net", Miss Congeniality ug uban pa...pero type lang nako ning Speed kay si Keanu Reeves man aprtner...hehe feeling nako ani kay ako si Sandra (rolling eyes HA?) nyahaha. Ako din napanood ko ito !1 & 2!